Saint Michael’s is accredited by the New England Association of Schools and Colleges. 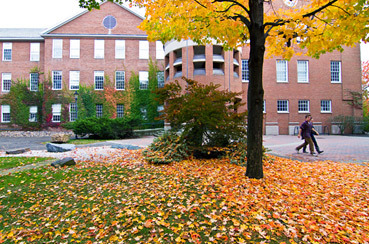 The College is a member of the National Association of Independent Colleges and Universities, College Board, Vermont Higher Education Council, Association of Vermont Independent Colleges, Association of Catholic Colleges and Universities, Vermont Campus Compact, and Association of Governing Boards of Universities and Colleges. Saint Michael’s College is committed to affirmative action and equal opportunity. It does not discriminate against students, employees, or applicants for admission or employment, on the basis of race, color, gender, age, national origin, ethnicity, religion, disability, sexual orientation, gender identity, or physical characteristics. Members of the College are encouraged to communicate in a gender-neutral manner. The provisions of this catalog are not to be regarded as an irrevocable contract between the student and the College. The College reserves the right to change its policies without prior notice.